Move all of the objects about to see how they are put together. 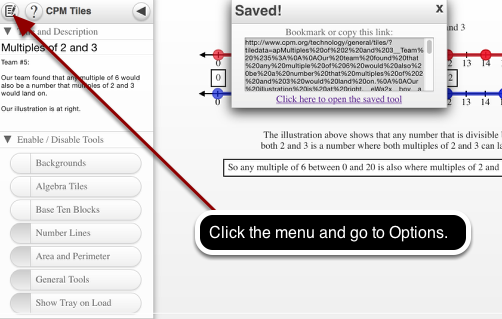 Click and hold the number line and arrow to view the options for these objects. Change the scale, orientation, and length of these objects. The "+" and "-" do NOT have additional menus on click and hold. Below is a possible answer. Add text from the General Tools menu. Add a title and notes. Save project and copy/paste the URL in the Google Sheet.